Acid-free inks on acid-free paper paper. I call this "Higher". 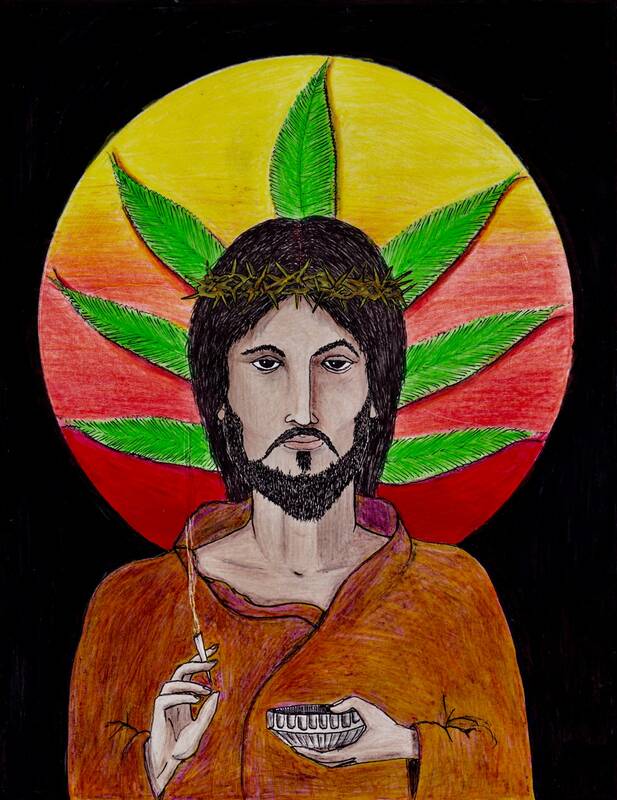 Would Jesus hang out with people who smoke weed? Would he partake? It is not matted and framed. Couldn’t be happier to have nakedpastor’s artwork finally! I find this to be a very haunting depiction of Christ, helping me to see the suffering of refugees in a new light.